Late morning view over Valetta, capital of the island Republic of Malta. The approaching rainstorm caused the appearance of a double rainbow over the ancient city. On the left Marsamxett Harbour and the new appartments being built at Tigne Point. Also visible the tower of St Paul’s Anglican Cathedral and the round Basilica of Our Lady of Mount Carmel. Valetta, Malta, 29 December 2014. 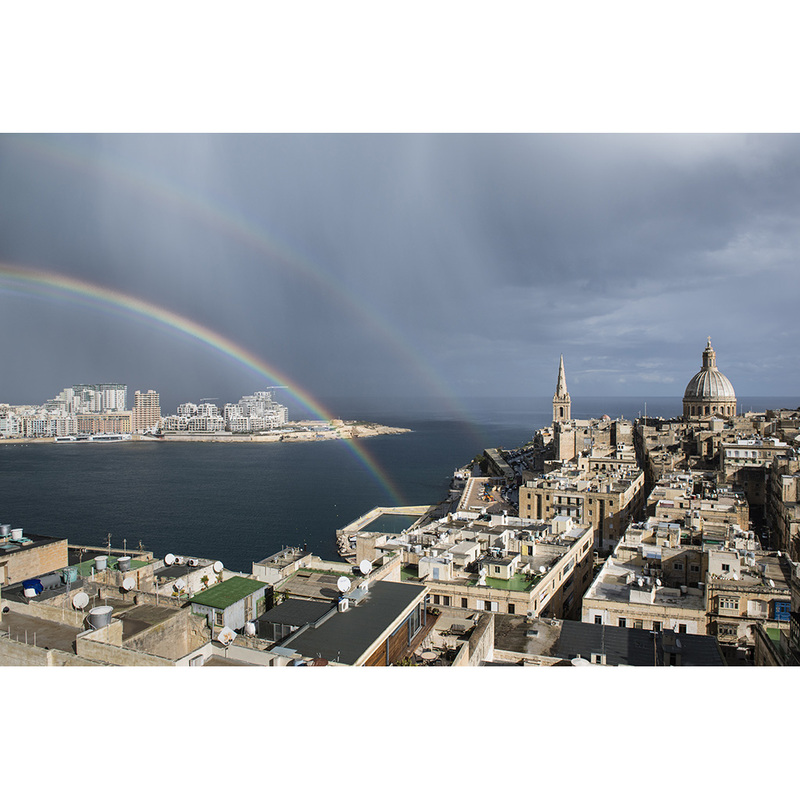 Malta’s capital Valetta with rainbow.